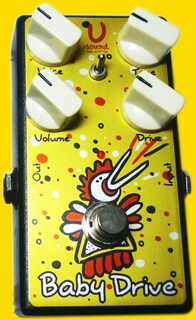 "Baby Drive", is a modified version the pedal "Doodl-Doo". It has the same function, but there is no switch to "FAT". Simply put - "Doodl-Doo" some functionality, but "Baby Drive" smaller in size and weight. However, this baby will not yield to the pressure of the cantabile and his older brother. 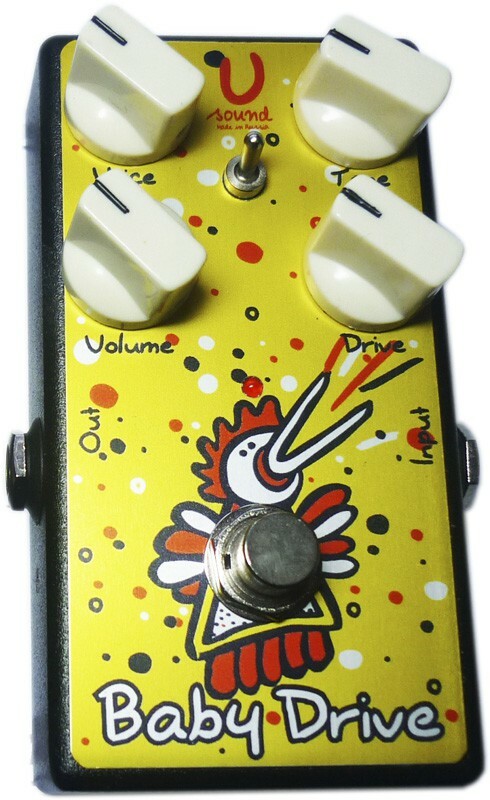 Otherwise, you can trust on the description of the overdrive "Doodl - Doo". Sweep the "TONE" and "DRIVE" knobs to shape your sound, then use the "VOICE" function as a band filter to remove any unwanted mid frequency "obviousness." Flip the "SHAPE" switch to defeat the "VOICE" function altogether. "Baby Drive" will ship within 3-4 business days of receiving cleared payment.